The third section of JSC MSU-90 unloaded the equipment. 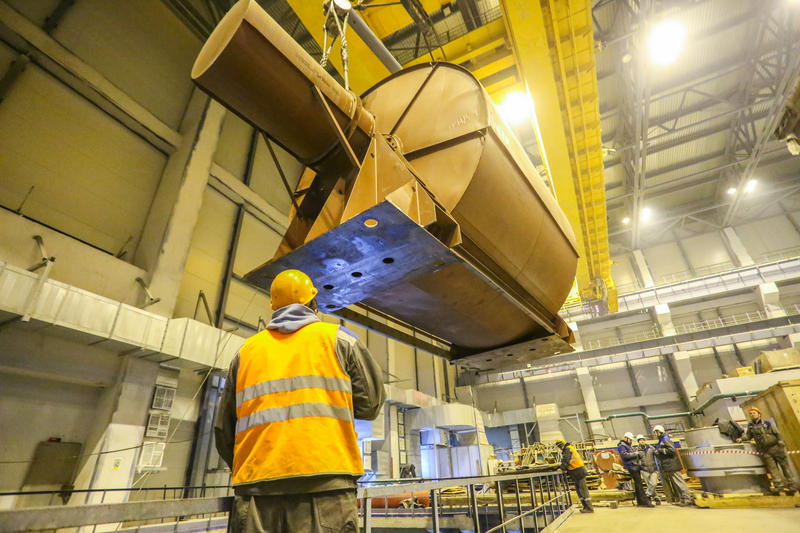 Using a bridge crane and a special lifting beam, the rotor in the transportation cover was lifted into the turbine hall of the turbine building. The total weight of the structure was about 100 tons. Thus, five of the seven turbine rotors are already in the turbine hall. MSU-90 will have to depreserve the equipment and prepare it for installation. The turboset rotors will be placed in the turbine bearings to align the shaft line.